"Agricultural produce markets have a special role in the development of a country having predominantly agricultural economy. Therefore, regulation in the marketing of agricultural produce has widely been adopted in India. But, without a good transport network, the regulated markets have no meaning because only transportation can provide access to and from the markets for the marketable goods. Furthermore, there are many facets of marketing and transportation. It is in this backdrop a study having an integrated approach to cover all the major dimensions of both the factors is required for overall assessment and planning. In present study an effort has been made to make an analysis of various relevant factors and aspects in integrated manner and find out ameliorative measures in order to increase the efficiency of various regulated markets mainly by improving transport network. 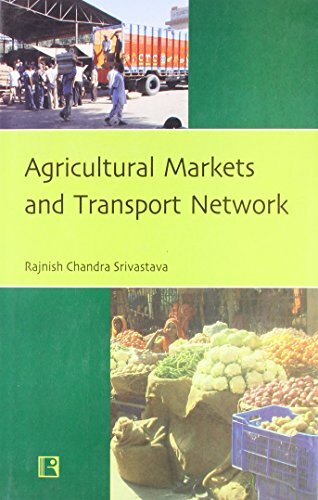 The book tries to analyse the spatio-temporal features of regulated markets/marketing and transport network in the canal irrigated region of north-western Rajasthan. It also attempts to have a view of the functioning of regulated markets on the basis of an empirical study to evaluate the marketing efficiency and performance of various markets. An effort has also been made to identify trade areas of various regulated markets of the region and to determine hierarchy of those markets. And, finally, it proposes certain methods on the basis of which future projections can be made by setting up of yardsticks to achieve realistic targets."